Solid-State Hard Drive has been launched for years and performance is satisfied with most users. In the past, it’s limited with SATA2 3Gb/s bandwidth, so the SSD performance hadn’t been improved for years. SSD max performance in the past few years was just over 200MB/s. 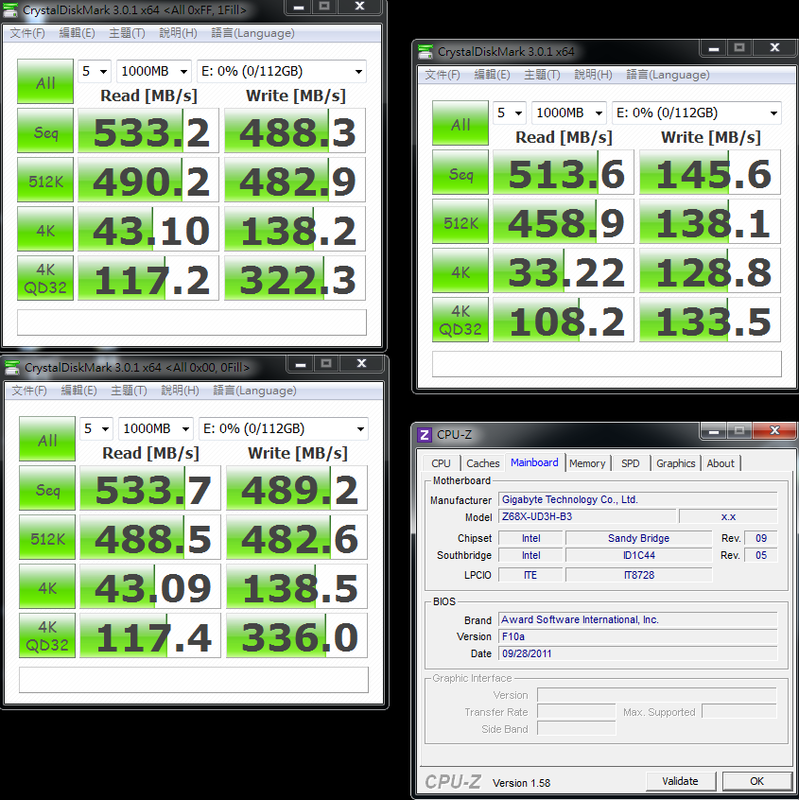 During that time, there were many high end MBs supported SATA3, but the performance improvement was not much. 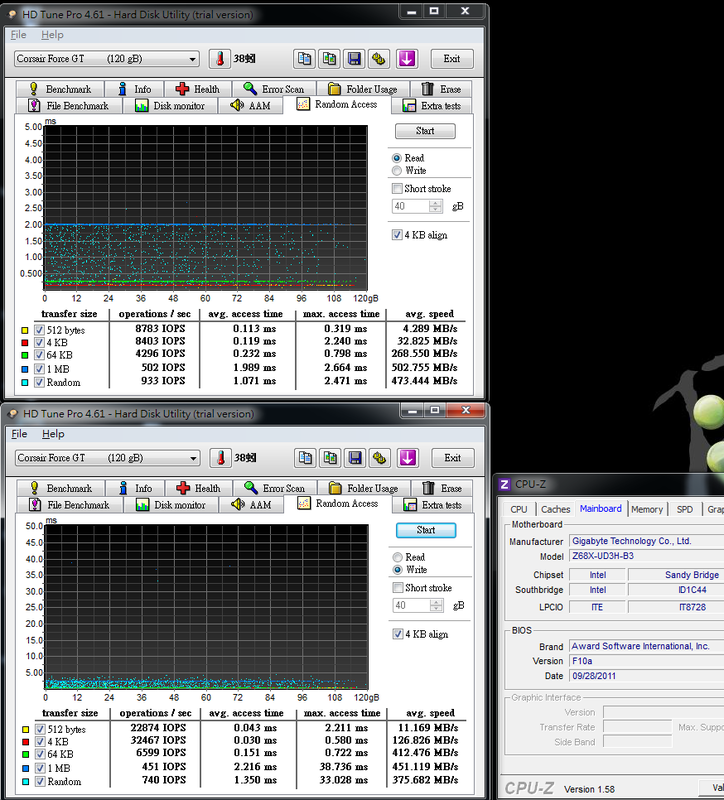 SSD performance bottleneck started to change from Jan 2011, Intel Sandy Bridge native support SATA3. 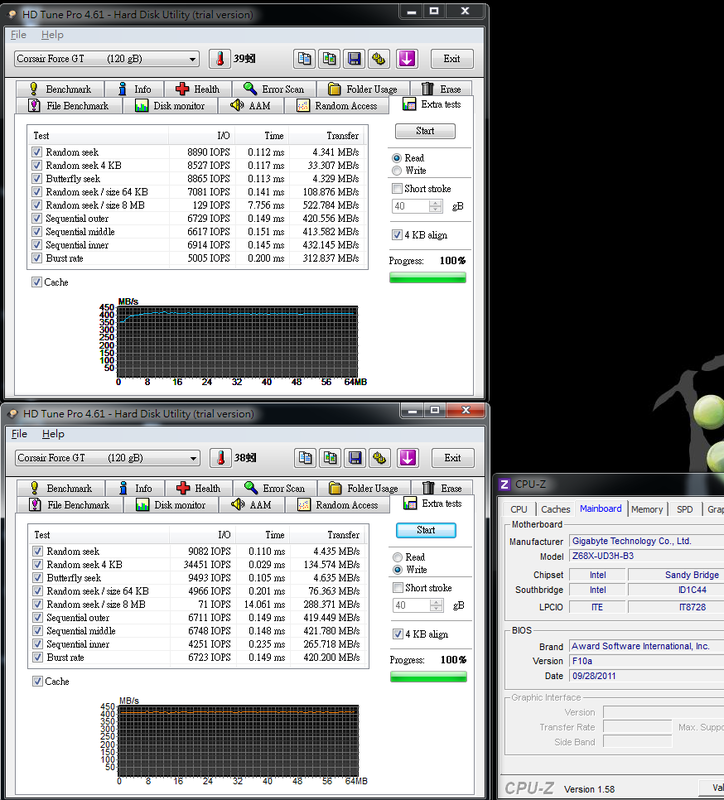 Although, AMD launched 990FX and A75 middle year also native support SATA3. It makes SSD own higher bandwidth. 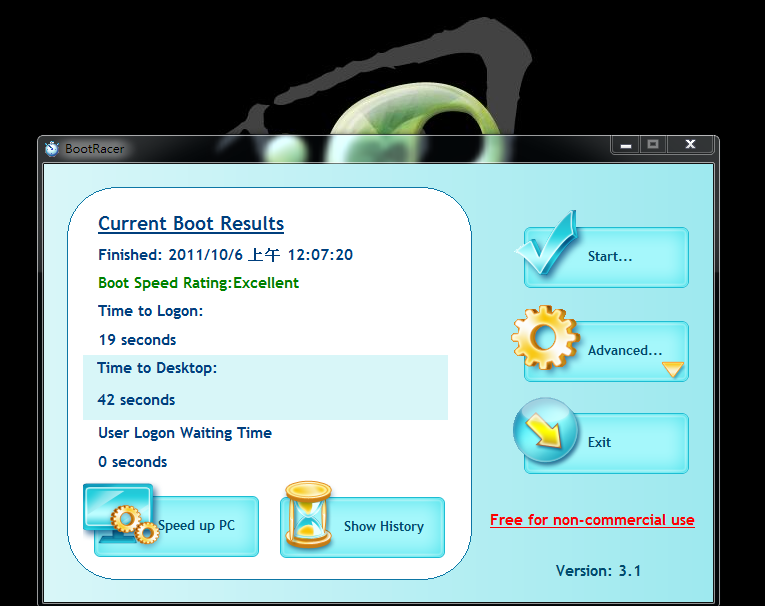 SATA3 supports 6Gb/s is 2 times faster than SATA2. Currently, SSD has SATA2 and SATA3. 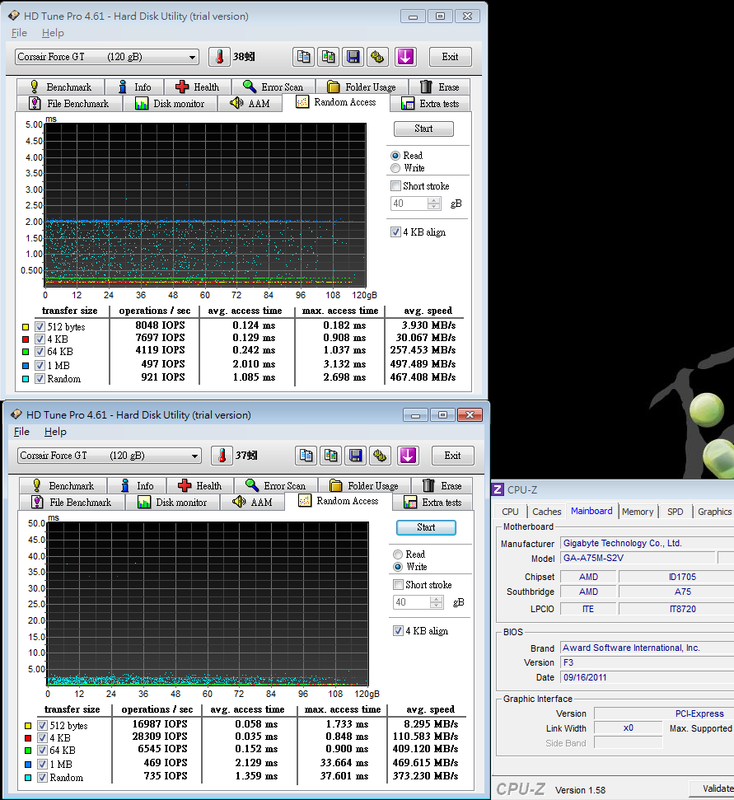 SATA3 read write performance is over 300MB/s. 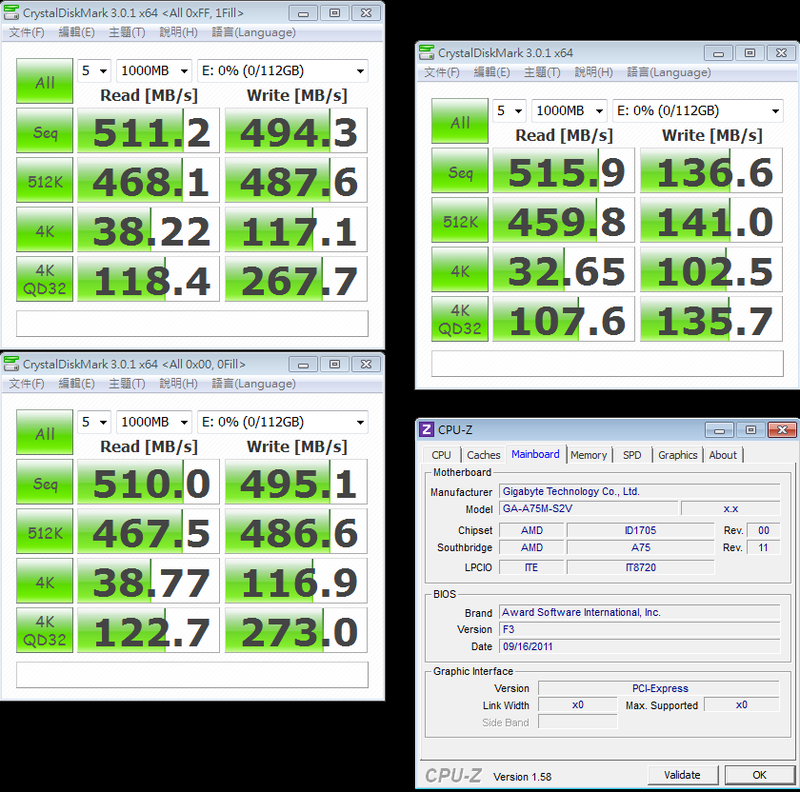 Windwithme previously share Intel 510 Series which support SATA3 450/220 MB/s SSD. This review is another SATA3 SSD. 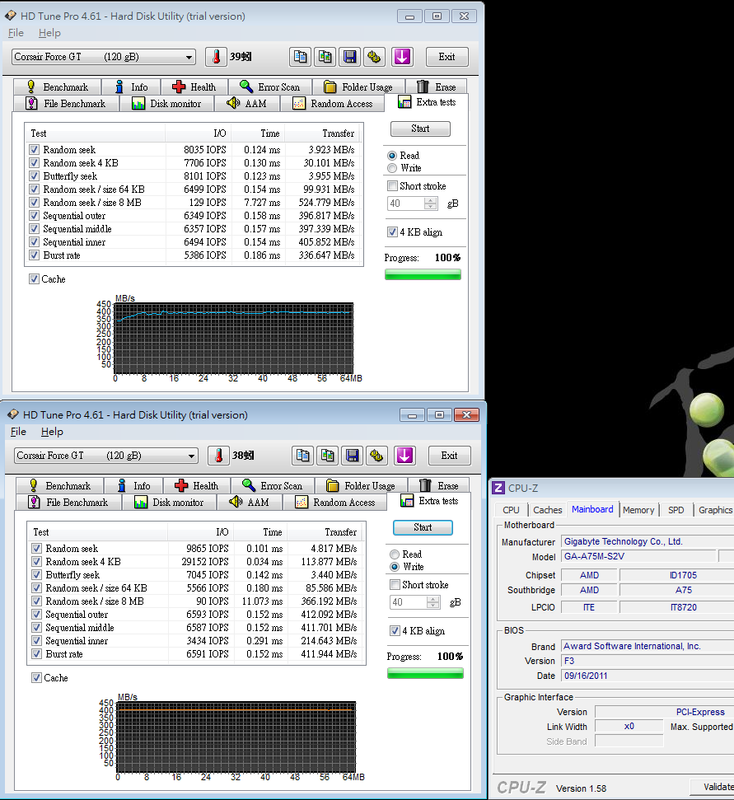 The performance is different with Intel 510 SSD. 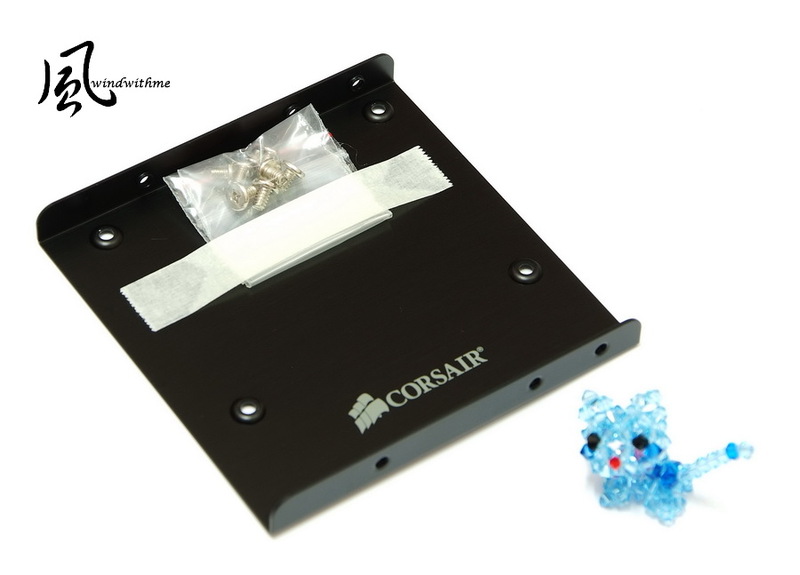 USA brand CORSAIR has variety product line which you can see its importance in SSD field. This is CORSAIR latest product line, Force Series GT which use SandForce controller. 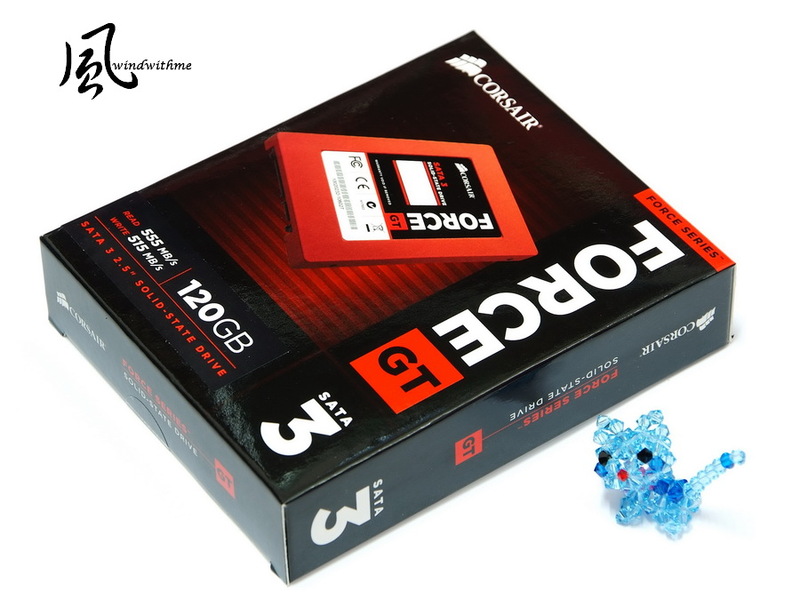 GT series packing is eye-catching red is different with Force Series black color. Left side is Force GT 120GB and right side is black 3.5” adaptor and screws. Product is 2.5” and capacity is 120GB. Official spec with ATTO Disk Benchmark is 555/515 MB/s. Random 4K max writing is 85000 IOPS. It’s almost SSD highest 4K spec. Besides the prominent black, the shell is matt metal surface texture. CORSAIR provides 3 years warranty and capacity has 60/90/120/180/240/480G. 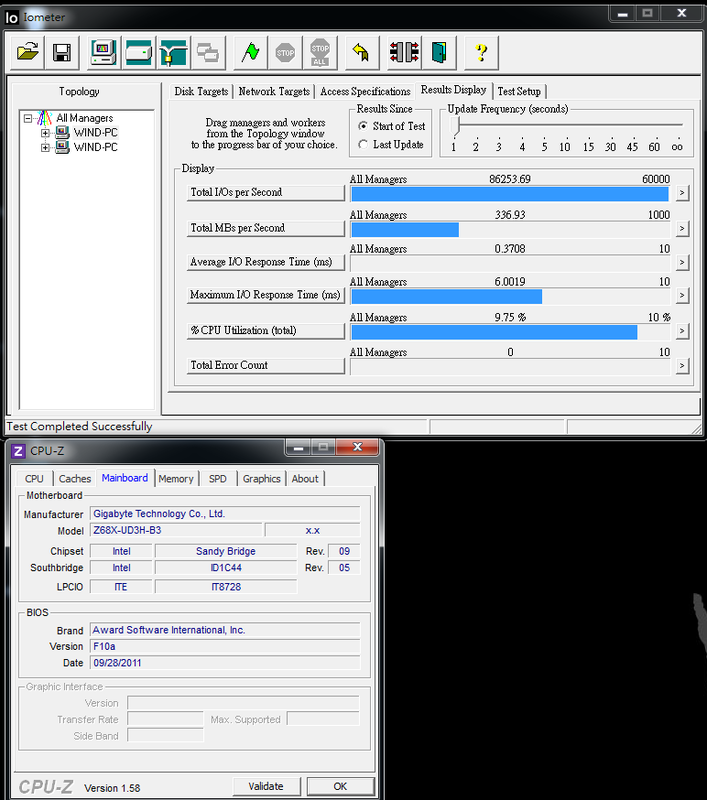 Users can choose SSD capacity by budget and demand. The back is black metal material. The hair-line surface design is really improving the texture. Lower-Right is SATA3 and power connector. 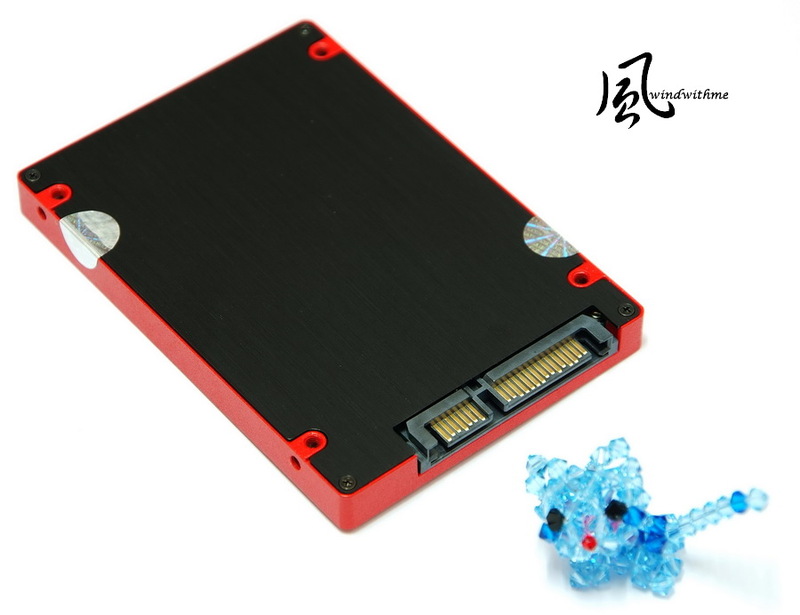 The outlook is same as SATA1 and SATA2. You have to distinguish by packing or sticker. You can see other 2 silver laser stickers. It’s for warranty and internal hardware safety. I recommend you to keep it in origin. 3.5” adaptor is very useful. If you are using SSD in DeskTop PC, you can save money and time to find an extra one. 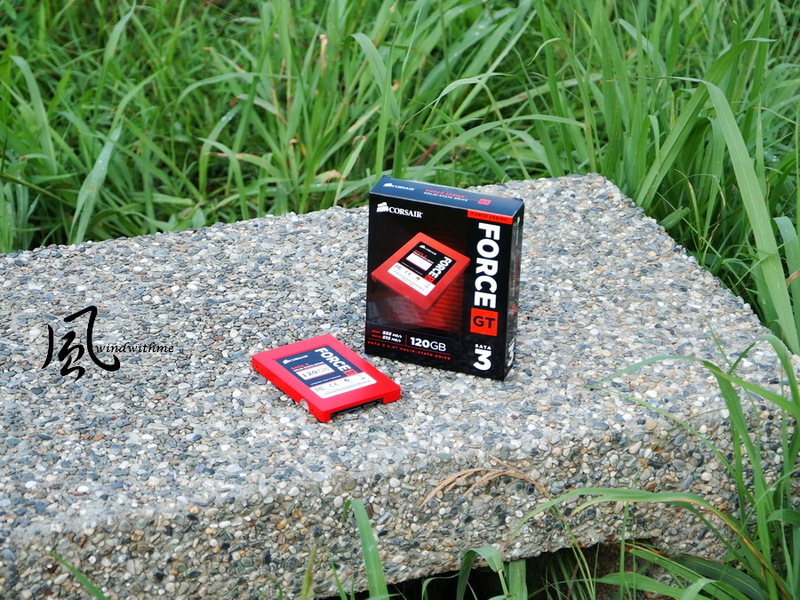 Force GT uses SandForce latest SF-2281 controller which is very popular now. For Force GT internal structure, you can find in Google. I will not share here. 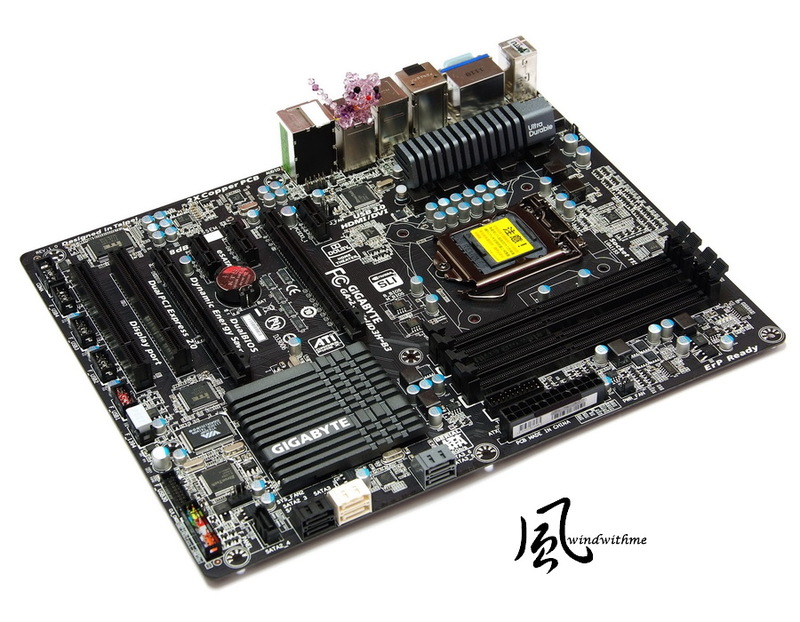 Let’s start from desktop platform which uses GIGABYTE Z68X-UD3H-B3. 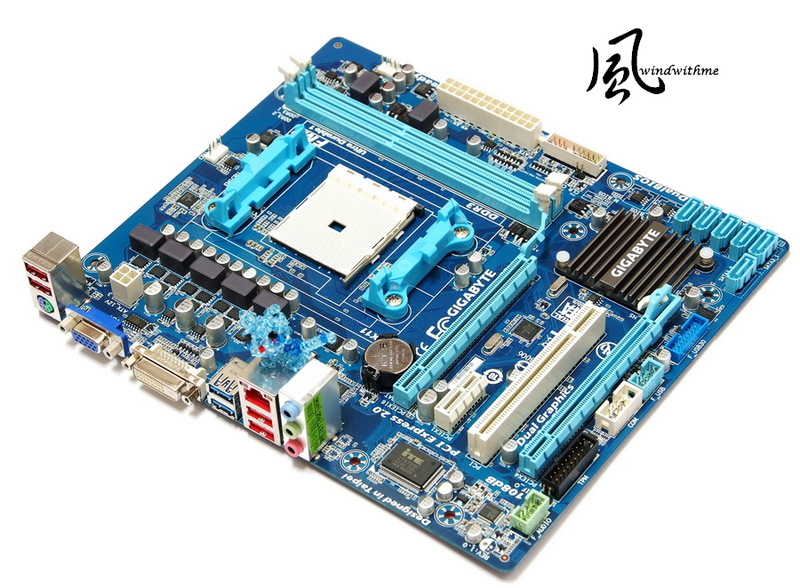 It provides 2 native white SATA3. This MB C/P value is good in Z68 market. The price is a little lower than Z68 mainstream. It’s GIGABYTE new black design. It also includes most necessary spec. The chipset is Intel latest Z68. It bundles ISRT software to set HDD and SSD as RAID0 mode to make SSD as system accelerating cache. According to small capacity SSD users, this is very good features. If SSD capacity is over 60GB, you can set it as drive C is better. 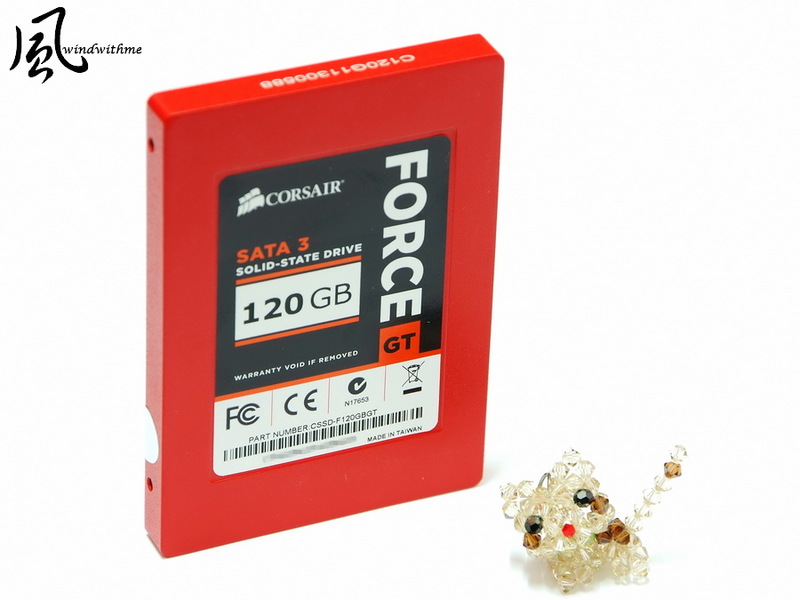 CORSAIR Force Series GT 120GB install at SATA3. Non-OS driver is without any data. 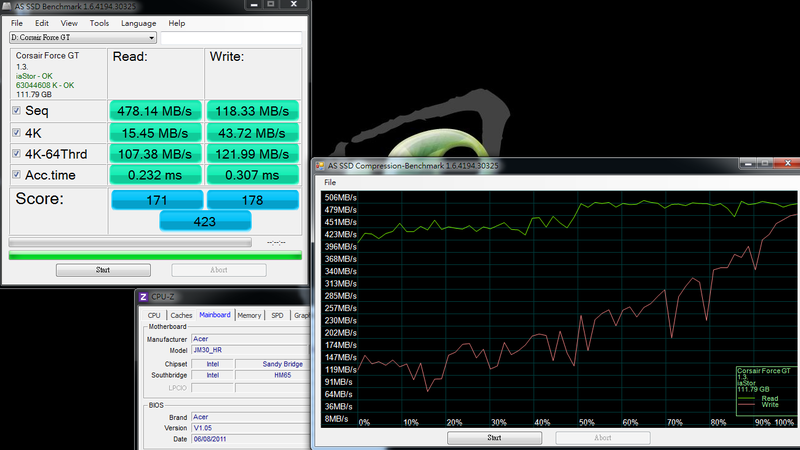 File Benchmark over 1024k test, the Read is over500 MB/s. 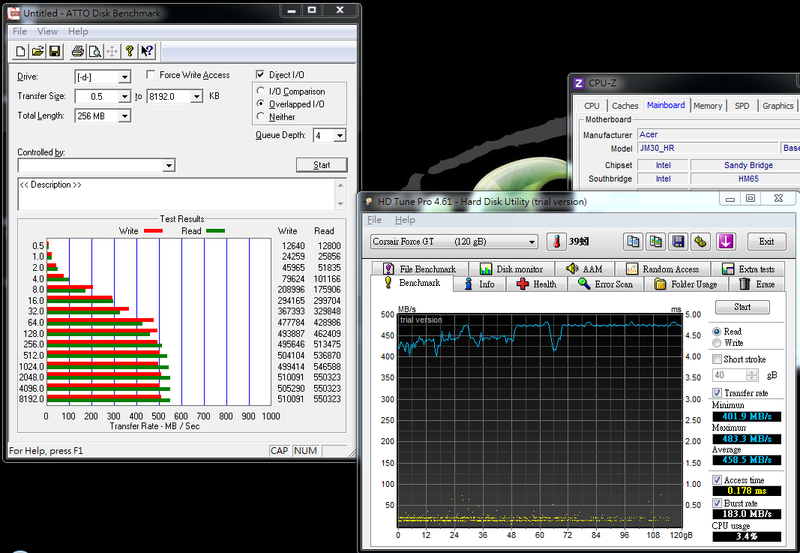 ATTO DISK Benchmark over 32k test, the max Read is 560.5 Mb/s and Write is 500.0 MB/s. CrystalDiskMark default test is random. You can see the Write performance is lower. This is because of SandForce controller structure. The algorithm will be lower in this software default mode. 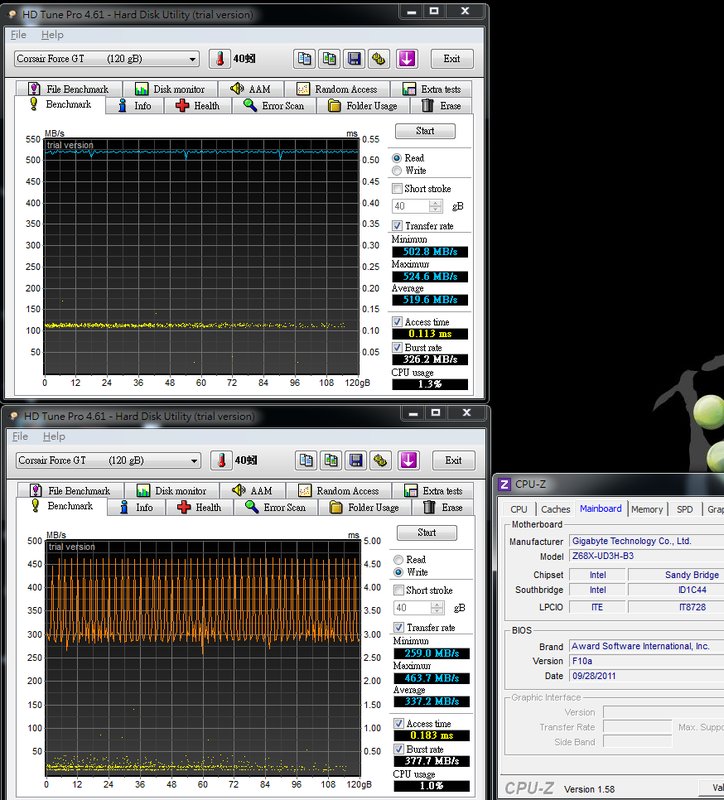 On the left hand side, CrystalDiskMark change to sequence mode, the Write performance is close to official spec. 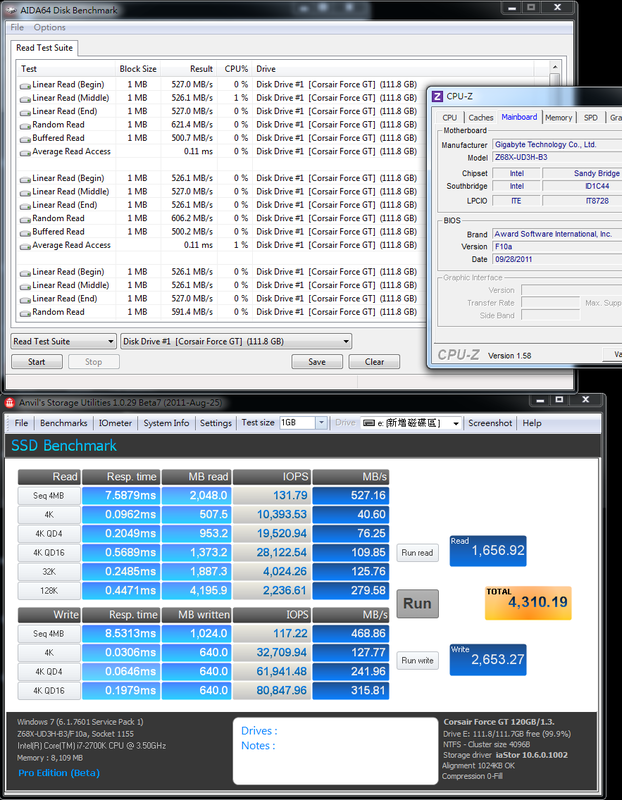 AS SSD Benchmark in Seq Write is similar to CrystalDiskMark. However, this software doesn’t provide sequence mode to test. In Compression-Benchmark, you can see the Read speed is very stable. Write curve is climbing from 150 MB/s to 470 MB/s. 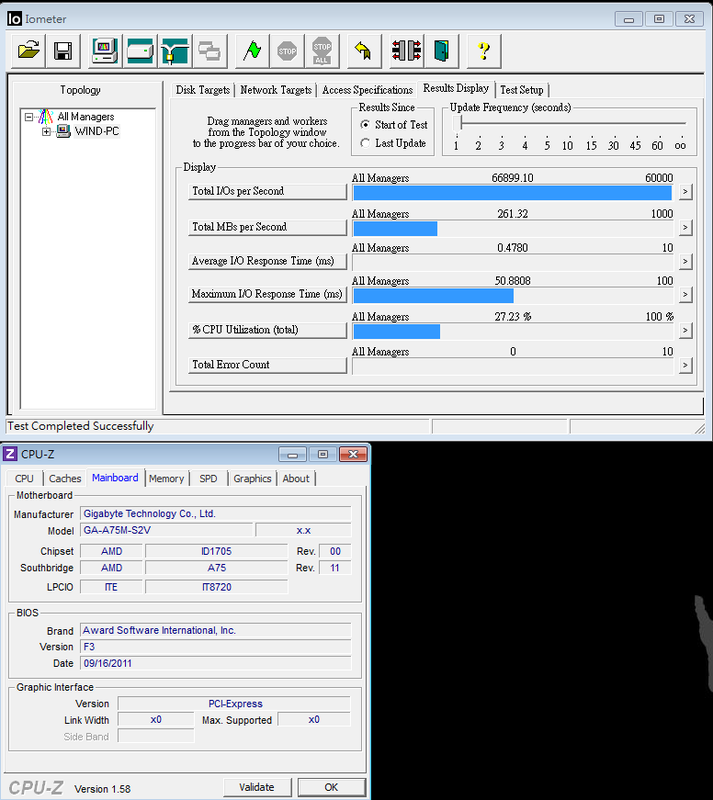 4K Write in IOMETER 2008 test can achieve 86K IOPS which is higher than official spec 85K. 4K performance is key strength of SandForce controller. This transfer rate is the best in the current market. 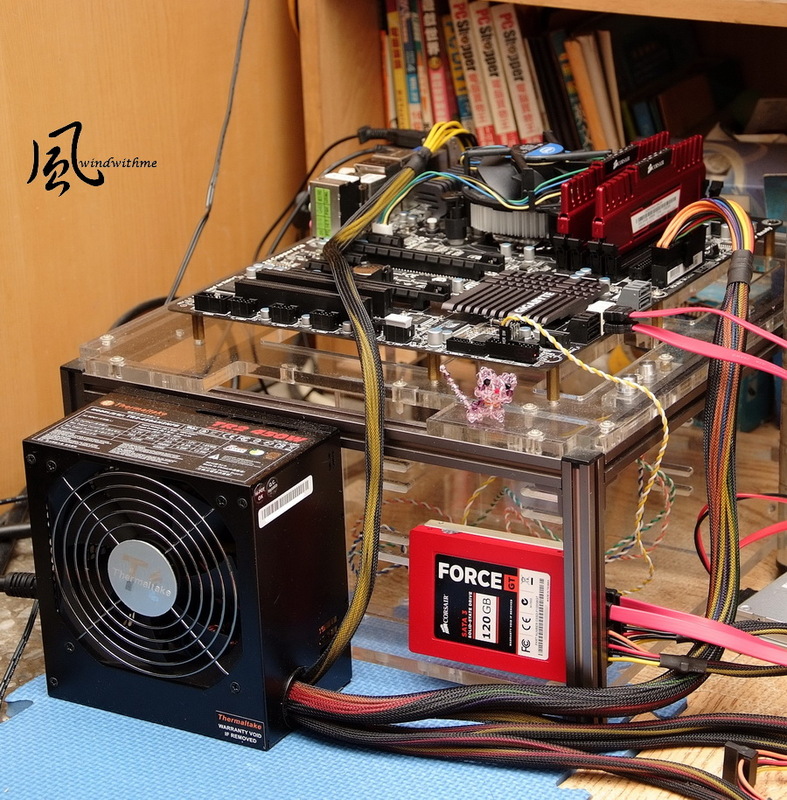 Force GT bundle Z68 platform almost can reach the highest speed except some software cannot unleash real SandForce Write performance. 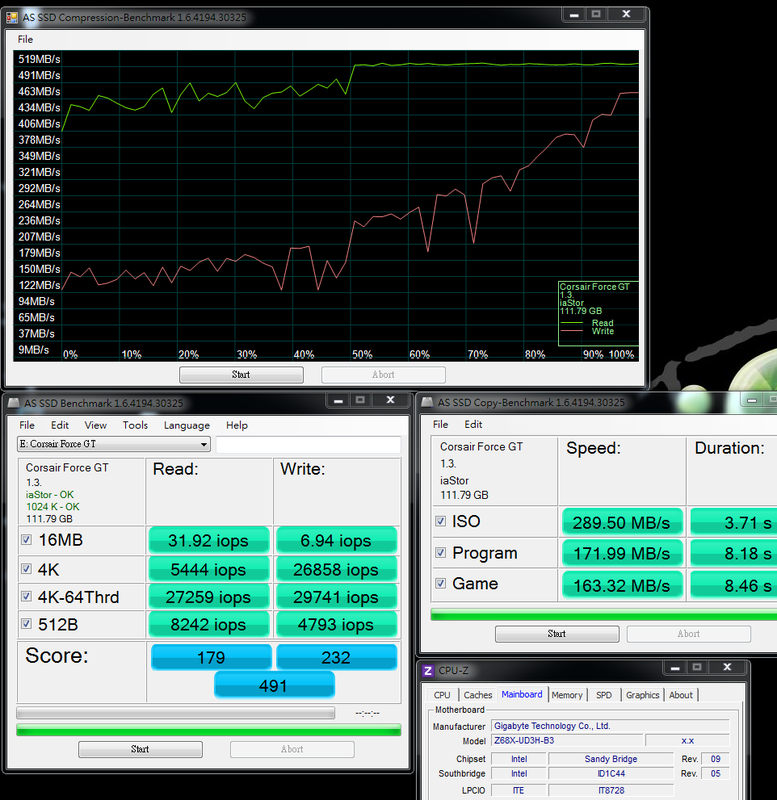 Even Z68 chipset, different MB have the performance gap. You have to beware of it. 2nd desktop PC test is GIGABYTE A75M-S2V. APU structure is AMD latest key product. A75 chipset provides 6 SATA3 and the scalability is better. I use same brand MB to avoid other factors to impact SSD performance besides chipset. Formerly, AMD chipset IO performance is always lower than Intel. The SATA transfer rate is also lower. 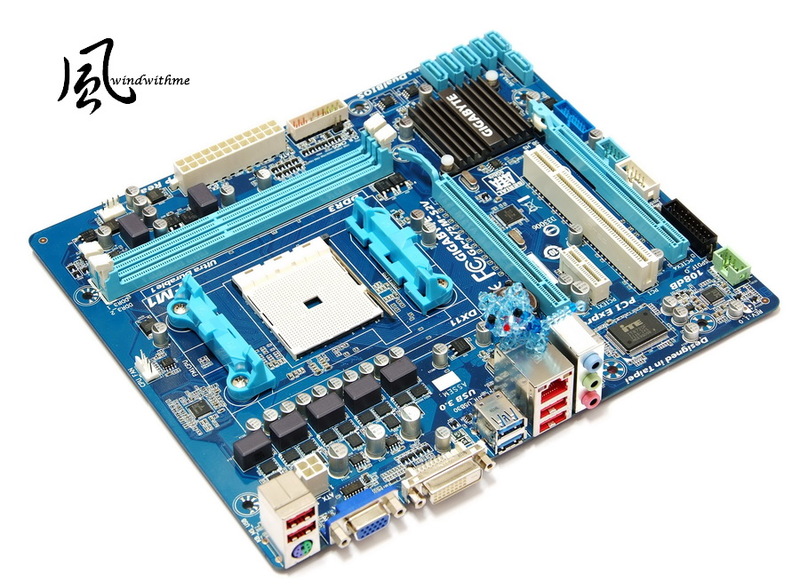 A75 is parity product which native support SATA3 and USB3.0. It’s APU advantage so far. I hope the native SATA3 chipset can enhance AMD platform transfer performance. CORSAIR Force Series GT 120GB install at blue SATA3. 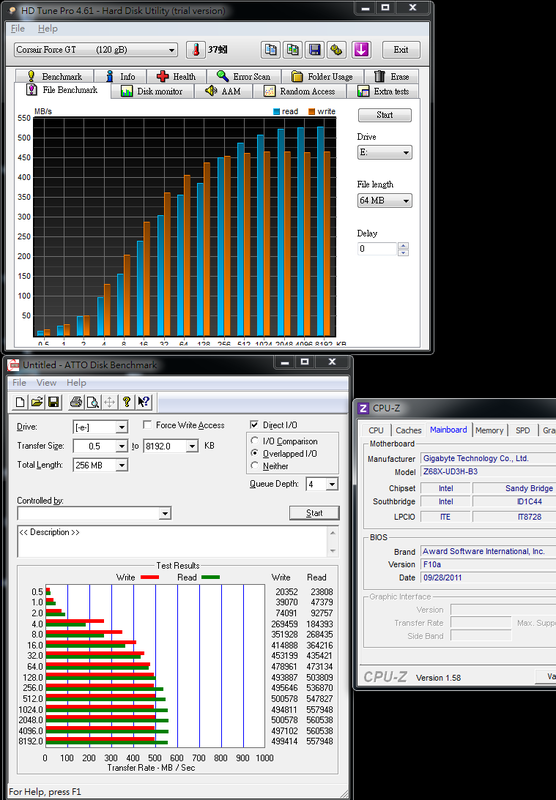 File Benchmark over 2048k test, the Read is over 500 MB/s. 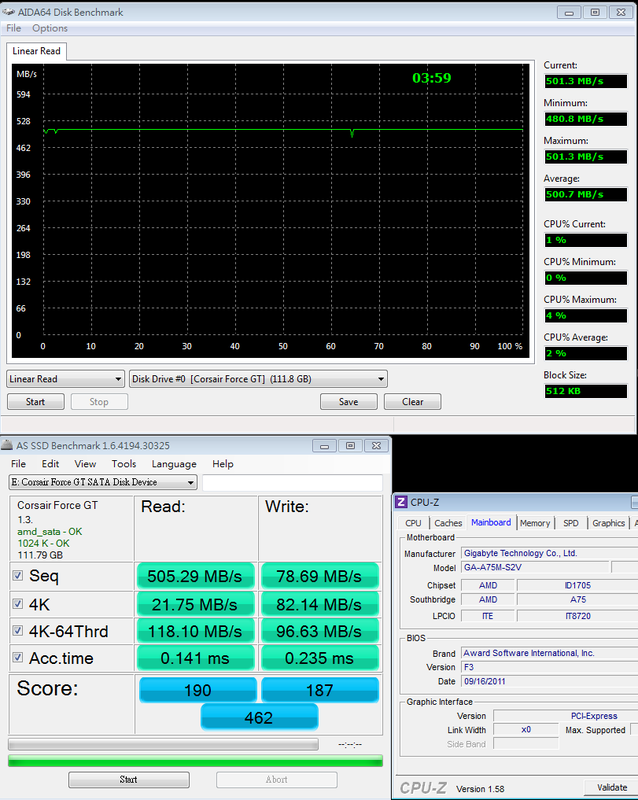 AMD A75 SATA3 performance is a little lower than Intel Z68 mostly. Comparing to formerly AMD chipset performance, A75 has been improved. The gap with Intel chipset is smaller. AMD structure has no SSD accelerating mode. If you would like to use SSD, I recommend capacity is from 90 to 120GB. 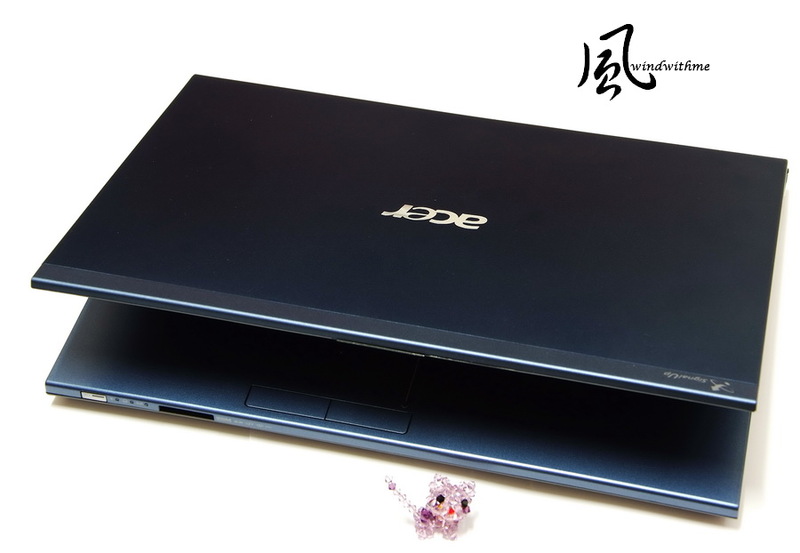 Drive C, system drive, can use SSD and the data drive can use cheap 2TB HDD to build the ideal system. Third platform is NoteBook, acer TimelineX 3830TG. It’s Intel 2nd generation Core i and chipset is Intel HM65. The first time I saw 3830TG was Computex. I am impressed by its appearance. Main tone is blue and the cover is aluminum. The thickness is under1 inch. It built in individual graphic and long duration battery. The design is similar to business style. The CPU and 3D performance is mid-end above. It’s a kind of balance model. 3830TG price is also very parity. The weakness is 1.87Kg, a little bit heavy. However, it doesn’t impact the C/P value of this NB. CORSAIR Force Series GT 120GB install at SATA3 as system drive. 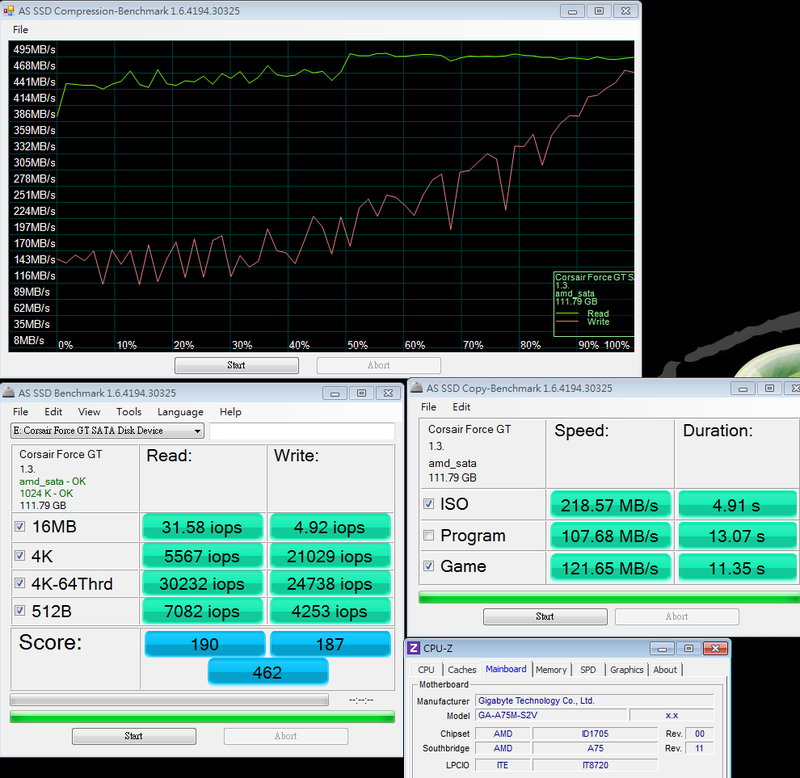 ATTO DISK Benchmark over 512k test, the max Read is 550.3 Mb/s and Write is 510.0 MB/s. File Benchmark over 2048k test, the Read can achieve almost 500 MB/s. 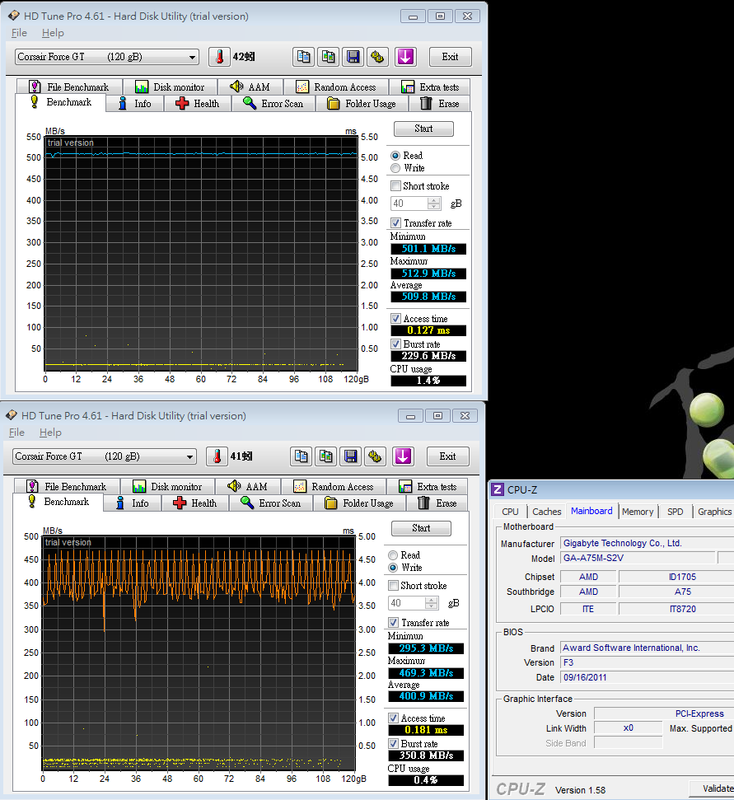 Set Force GT as OS drive, you can see the performance drop a little, but it’s acceptable. 4K performance is much lower than PC. I hope 3830TG can improve it by updating BIOS. NB SSD performance normally is lower than PC. However, Intel chipset still has the standard level for transferring performance. Maybe some readers think it’s just benchmark. They cannot feel the real performance. 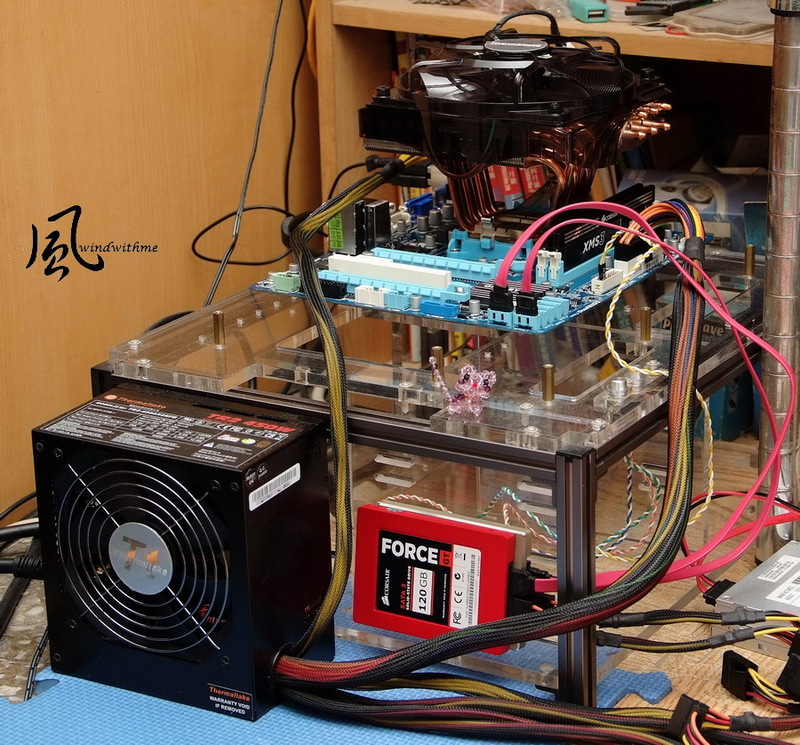 I change 3830TG drive to TOSHIBA MK6461GSY 640GB 7200rpm and test the booting time. 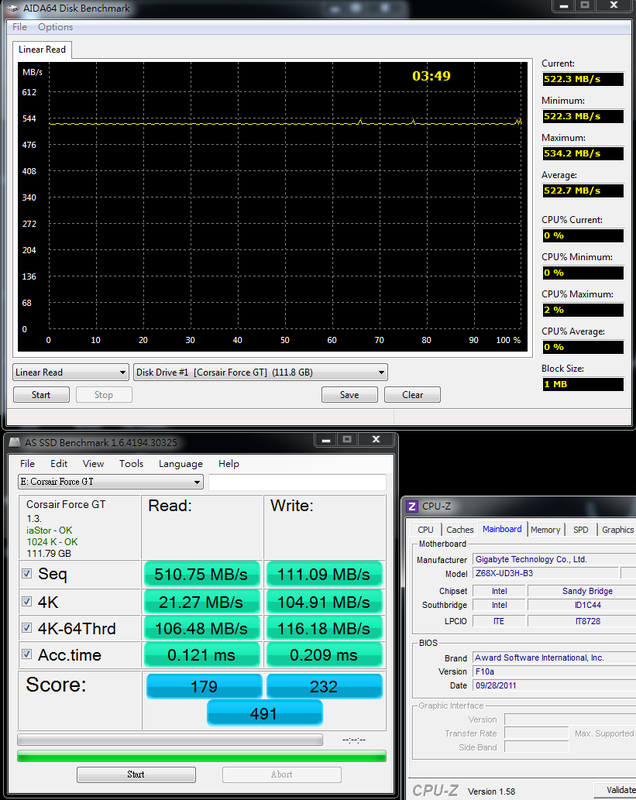 TOSHIBA 7200rpm 640GB HDD is 42 seconds and CORSAIR Force GT SSD 120GB is only 16 seconds. OS are both Windows7 64bit SP1 with same drivers and software. Force GT speed is 2.63 times faster. SSD is really helpful for NoteBook system performance. Formerly, NoteBook hardware spec is always much lower than PC. 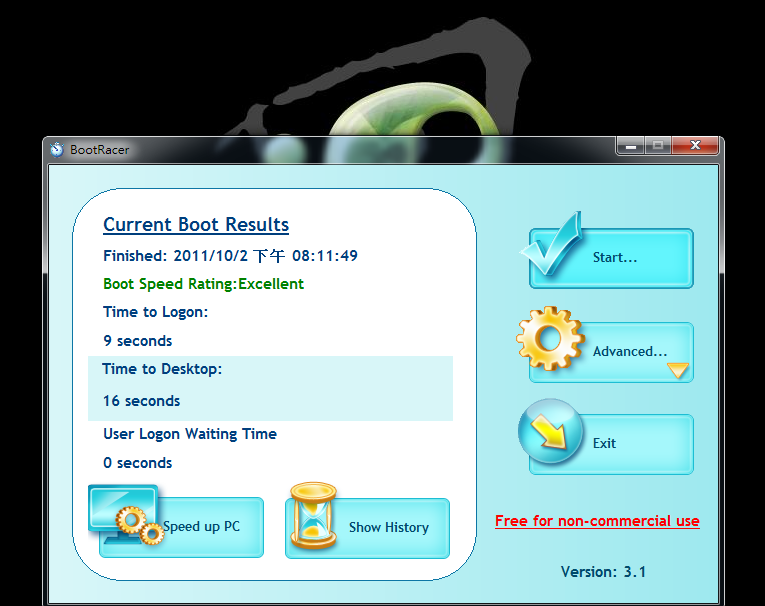 Using SSD can improve system performance which you can feel since system bootup, shutdown and execute files. 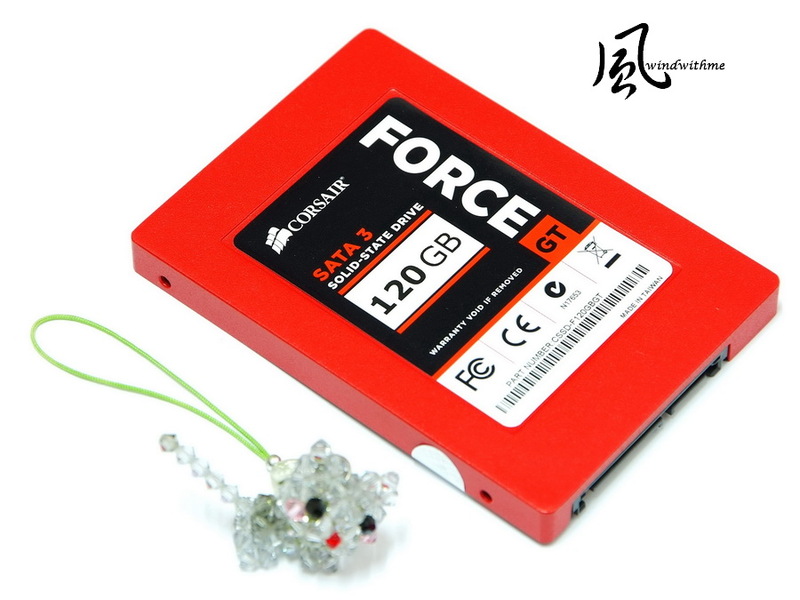 In 2011, SATA3 spec becomes more popular and it improves SSD performance indirectly. Formerly, entry 32GB SSD price can get 64GB now. User also can have bigger capacity. 64GB mid-end SSD market now goes for 128GB due to the price drop. 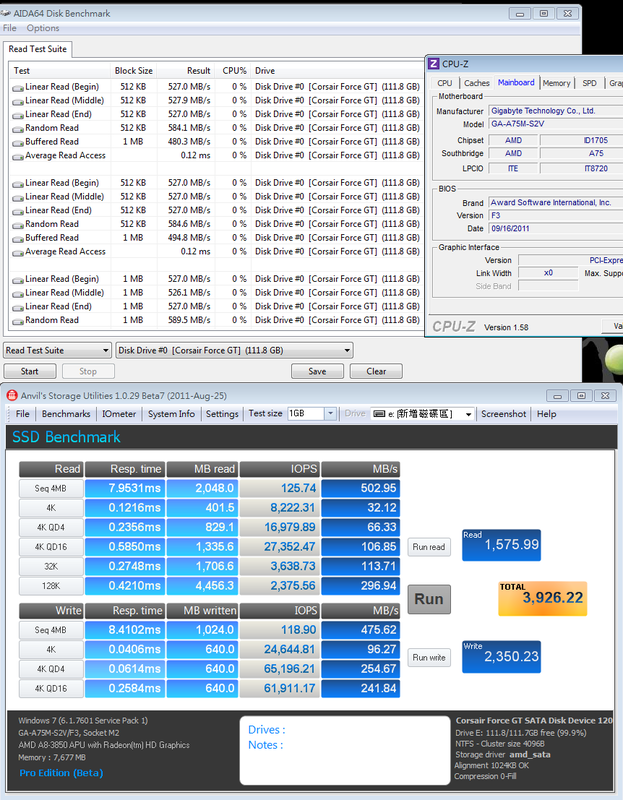 SSD capacity and price cannot be comparing with HDD. However, they are looking for different applications. By the other hand, 128GB in PC platform can be drive C, system drive and replace HDD in NteBook. This year, SSD price drop make user have higher capacity and the applications are wider. For SATA3 SSD, there are several types of controllers. 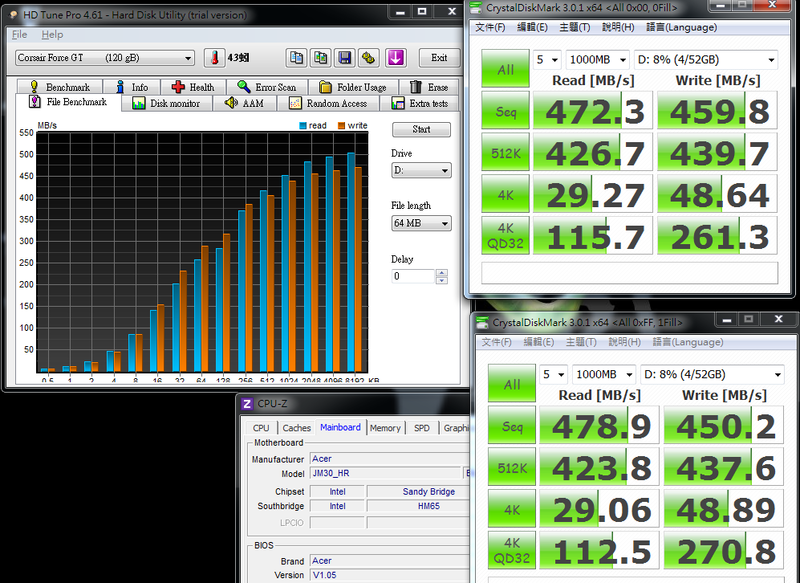 However, many SATA3 SSD Write speed is only 200~300 MB/s. 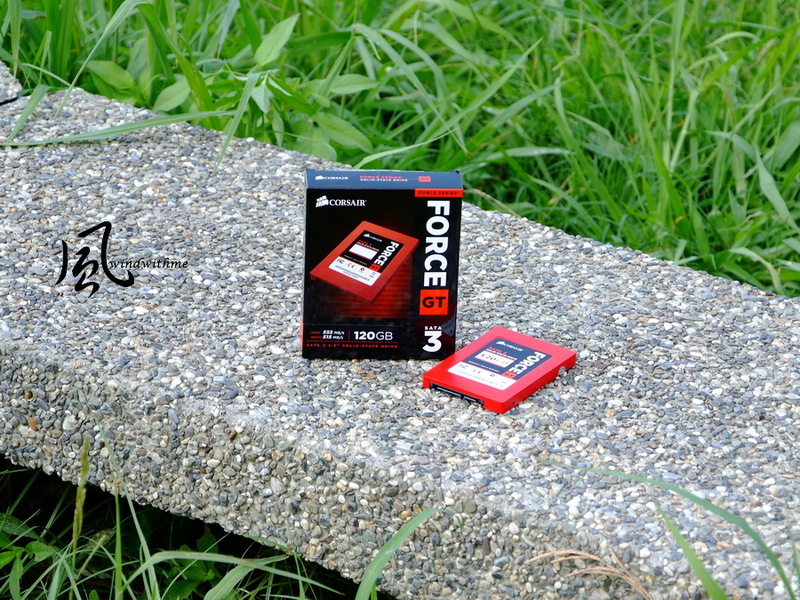 CORSAIR Force GT uses SandForce SF-2281 controller chip, the max Write can achieve over 500 MB/s. For 4K performance, it’s almost the best solution in current SSD structure. It’s a very good controller in SATA3 SSD. Force GT appearance is eye-catching and good texture. 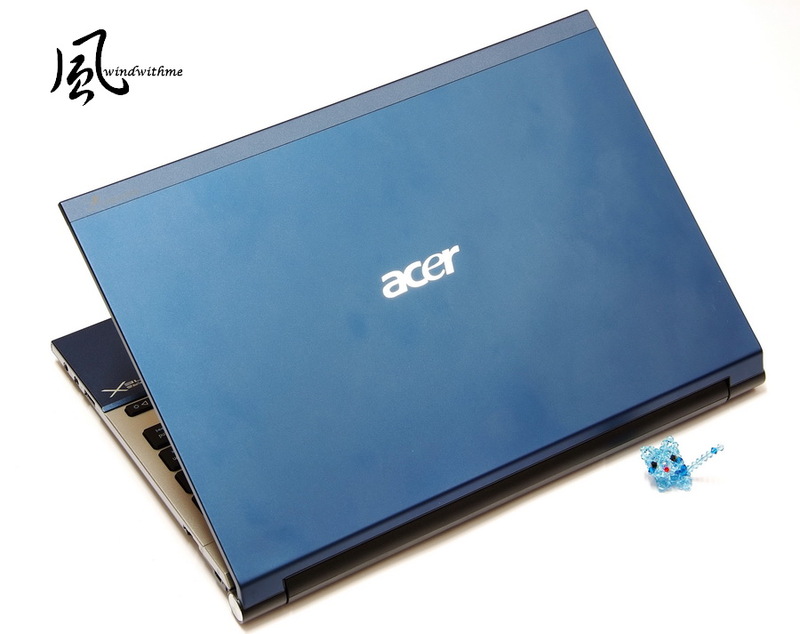 The capacity has 60~480GB for users to choose. Plus CORSAIR has good reputation in after service and firmware update, you must put this model in your new SSD wish list. This article is also post in my blog WIND3C , Welcome your comments. SSD buyers need to be aware of the major performance penalty with sata III drives that use the less expensive asynchronous NAND flash memory. It is often difficult to determine which type of NAND is used in each ssd product line from many manufacturers. Check out OCZ Technology Agility 3 240GB SSD Review :: TweakTown USA Edition and be sure to read the conclusion that explains how asynchronous NAND drive performance suffers as free space decreases. 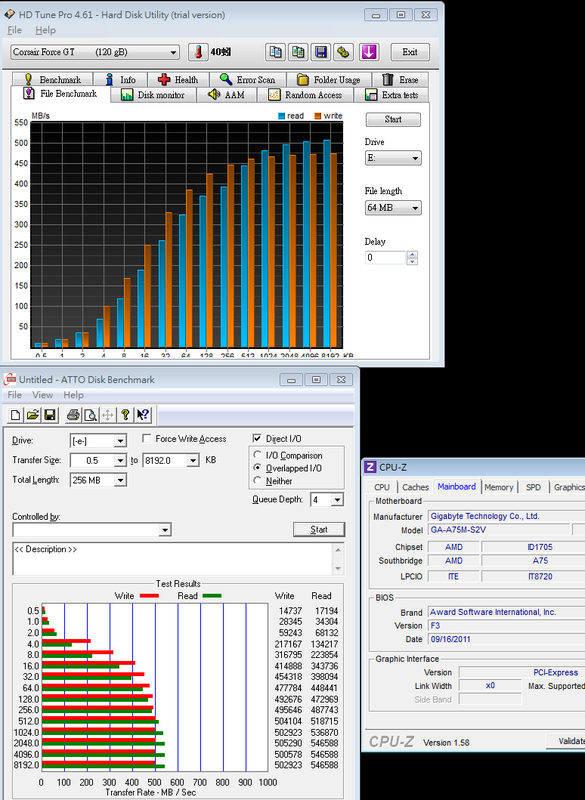 Synchronous NAND drive performance does not degrade as the ssd free space decreases. The link in the http://forums.tweaktown.com/storage-...rformance.html post confirms TweakTown's results and conclusions. got this exact same SSD, and am very happy with it. (AMD 990FX chipset), however its not my bootdrive as I'm using my Patriot Pyro 60GB for that and the Force GT as application and games disk.